This time between Thanksgiving and Christmas is a fun time with all the shopping and parties and gift giving. Sometimes it's hard to remember there is still learning to be done and work to accomplish. But can't that work be holiday themed? It can in my book! 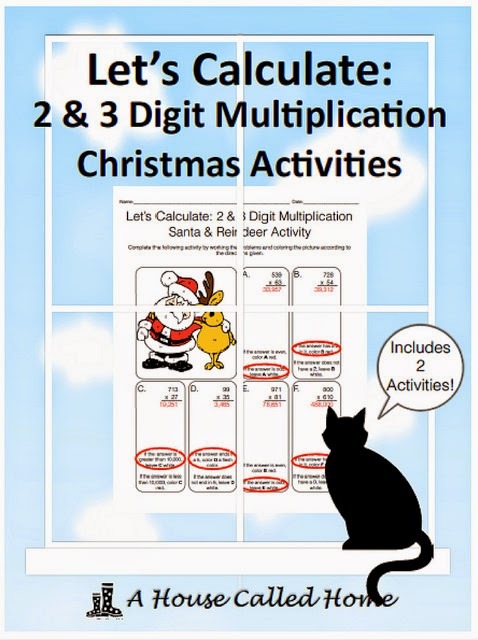 A new Christmas math activity is available in my store. It can be used to supplement a 2 and 3 digit multiplication lesson or makes a great homework assignment. 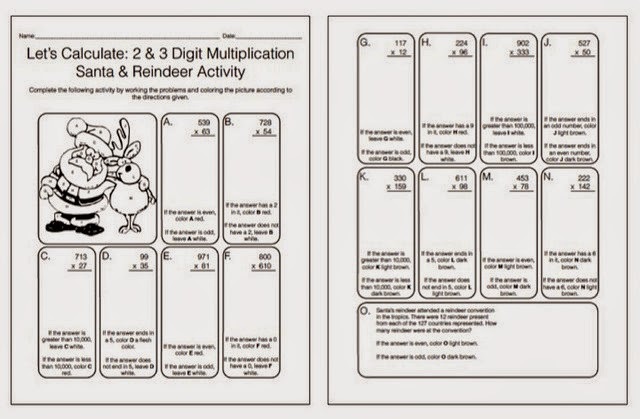 and Santa and a reindeer (15 two and three-digit problems). Both include 15 problems and a small coloring activity that helps you quickly check for accuracy. The coloring portion is small because time is limited. 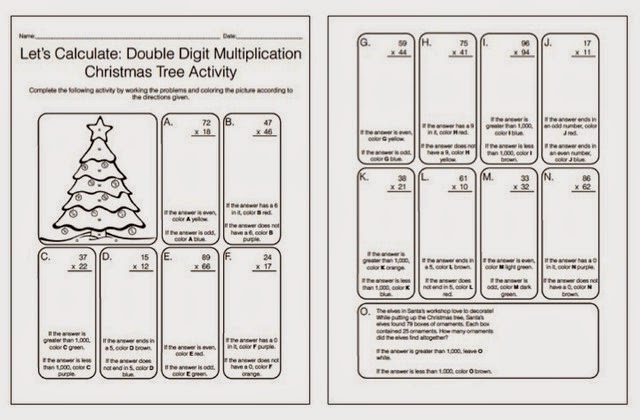 It adds just a touch of fun to this multiplication worksheet. 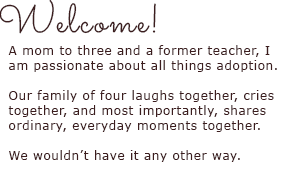 If you think your students would enjoy this activity, you can find it here. I wish I was about to impart wisdom on life and simplicity, but I'm not. I'm about to talk about simple machines. Not quite the stuff inspiration is made of. But they do help us out in life. So there's that. 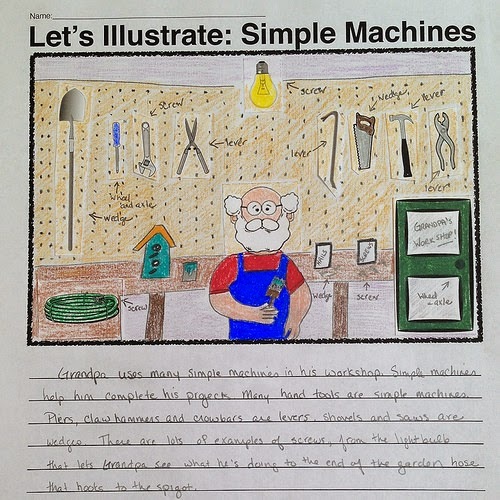 When I was teaching middle school, simple machines were a part of my year. I always attempted to show my students how useful they were, by finding them in everyday life. I'm a huge proponent of showing students that what they learn in class is applicable outside the classroom walls. And simple machines are everywhere. This product includes 48 common ones. 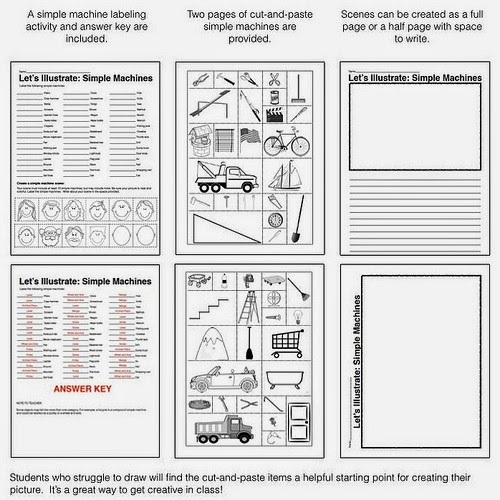 Students create a scene using the cut-and-paste simple machines available to them. They then fill in the rest of the picture, color it neatly and write about it. You'll be surprised at the creativity in your room. 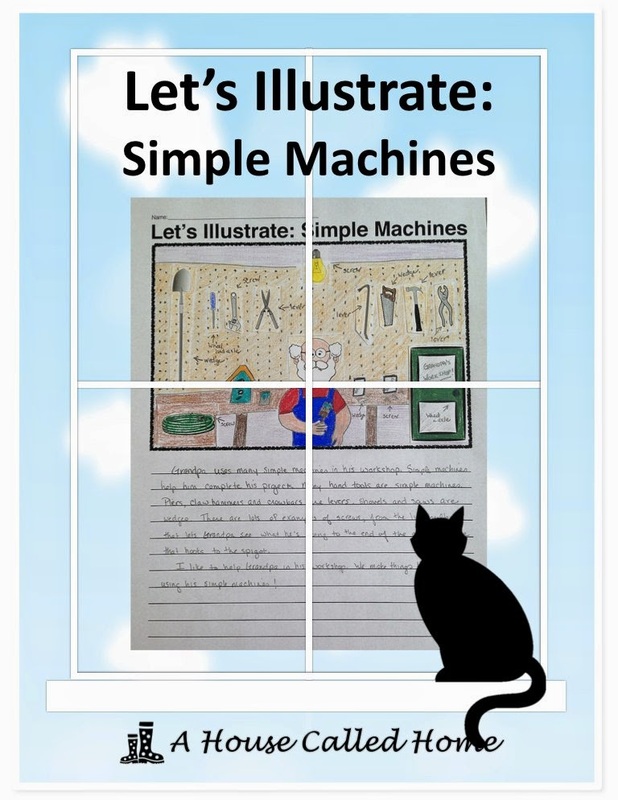 Let's Illustrate: Simple Machines is available here in my store. There's lots of data floating around this world. 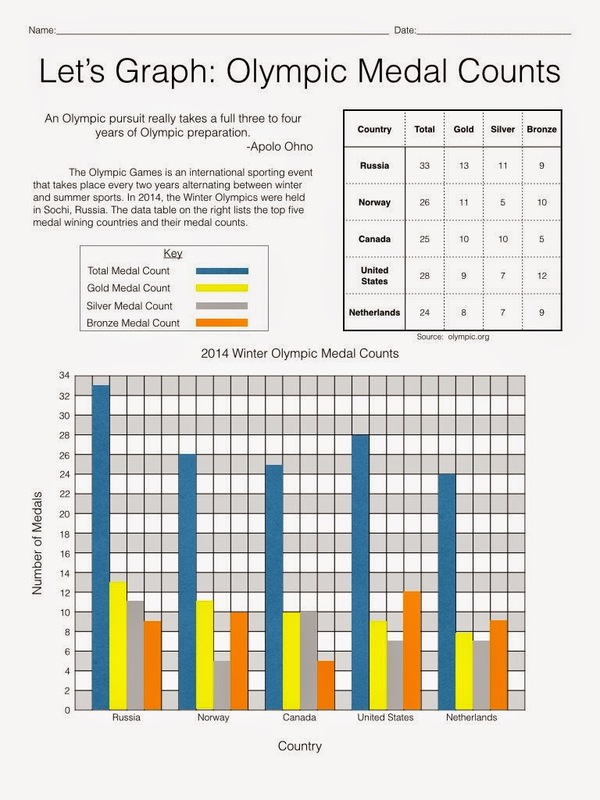 No matter what you're teaching, you can dig up some information or statistics for the kids. I was a stickler for representing it in graph form. But not all graphs are created equal. I like graphing real data, data that means something. Data that shows our students that their education ties into life outside the classroom window. 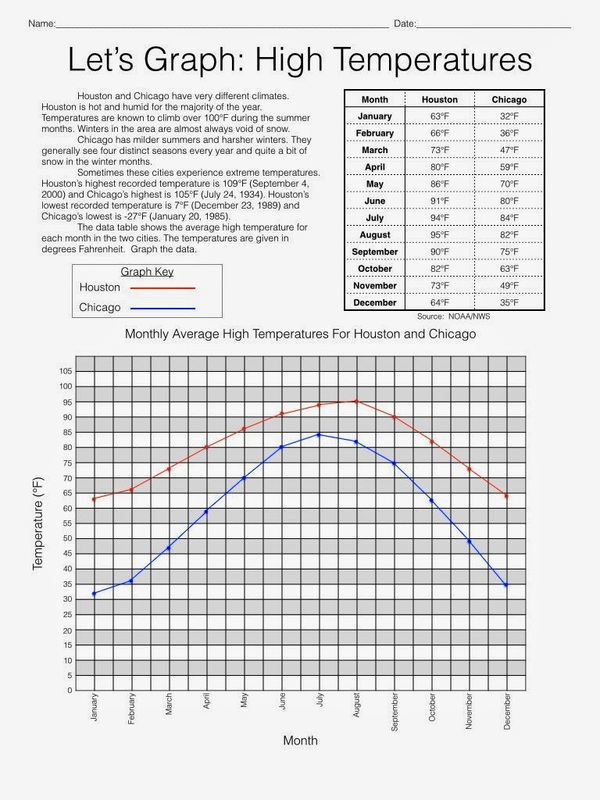 Or how hot is Houston? 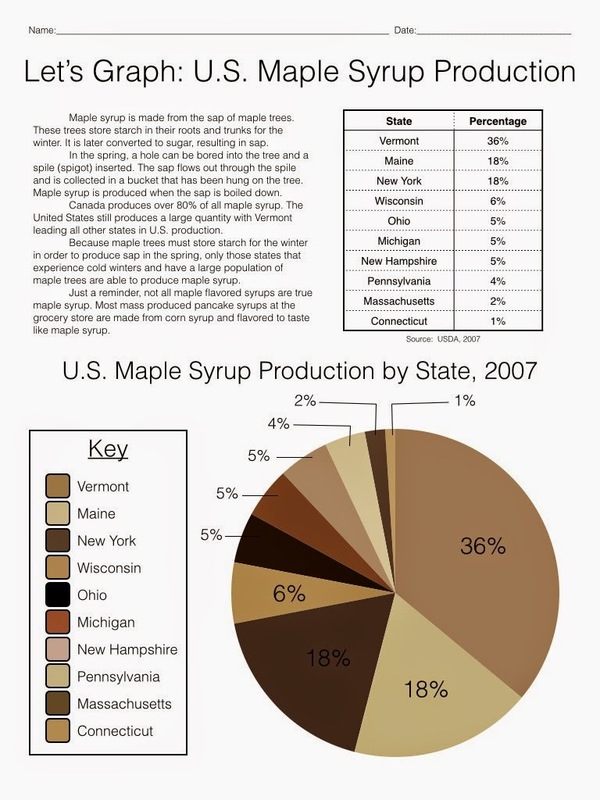 I'm pretty much head over heels for graphs.